By default, RDS works with Microsoft's ISA server to secure traffic, but this shouldn't be the only layer of security. See additional security technologies to implement. By default, RDS works with Microsoft's ISA server to secure traffic. 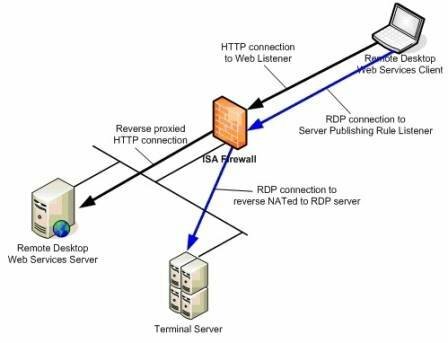 ISA can handle Network Address Translation (NAT) and reverse-proxied connections, and it enables RDP to access only the information needed to function. But ISA shouldn't be the only layer of security. Administrators need to implement additional security technologies -- like NAC (Network Access Control) -- to integrate with the connection broker. Furthermore, antivirus, antimalware and intrusion-prevention systems should be deployed at the edge of the network and on the VMs.